Honda builds the Civic in 14 countries. The latest European version, shown, debuted at the Frankfurt auto show in September. MALAGA, Spain - Honda will delay the launch of its new Civic compact hatchback in Europe because of parts shortages stemming from the floods in Thailand. "We are closely watching the supply chain situation. 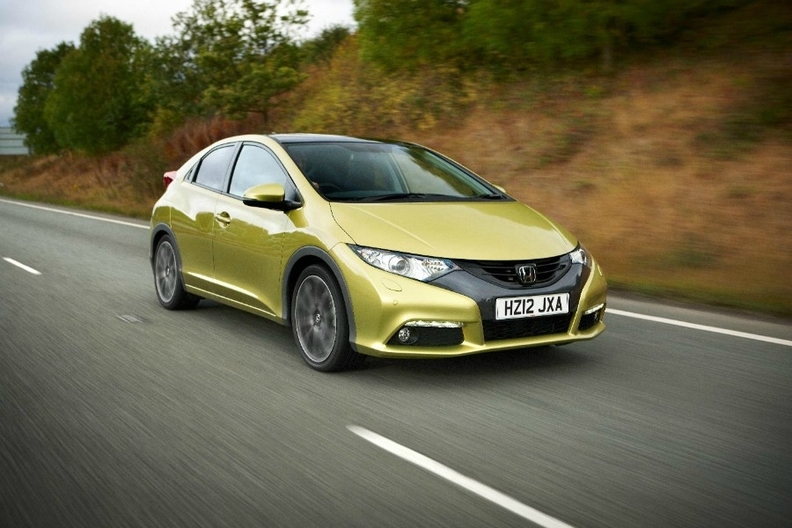 Right now we fear the new Civic introduction will be delayed by three to four weeks," John Kingston, Honda Europe manager for corporate affairs, told Automotive News Europe at a press event here. The Civic is traditionally Honda's best-selling model in Europe, although the current version was overtaken by the Jazz this year. The European Civic is built at Honda's factory in southern England. Earlier this week, Honda said it will reduce production at Swindon because some suppliers in Asia are unable to maintain parts production because of the floods, disrupting the flow of parts to production operations in Europe and other regions. Honda had planned to begin the European rollout of the ninth-generation Civic in the U.K. and Germany in late January. Shipments are now expected to begin by the end of February. In the first nine months, Civic sales in western Europe declined 29 percent to 27,882 units, according to JATO Dynamics. Sales of the Jazz small minivan fell 15 percent to 38,422 in the same period. Honda expects the new Civic to reach annual sales of 100,000 in Europe, helped by a new 1.6-liter diesel engine that will be offered from the end of 2012 alongside the current 2.2-liter diesel.